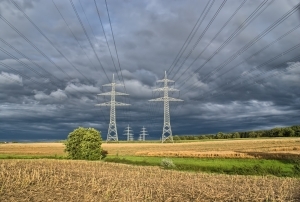 Entergy Mississippi, Inc. v. Acey, a case from the Supreme Court of Mississippi, involved a child who was electrocuted while playing on a farm. Employee was operating a cotton picker and parked it under an allegedly sagging power line. The child climbed onto the parked cotton picker, touched the power line and was electrocuted. During his deposition, employee testified that he and his sons were unaware that farm owners’ daughter and her friend, the electrocuted child, were playing nearby. One of employee’s sons saw a flash, and they immediately ran to the area where the flash originated and found plaintiff on top of the cotton picker. Employee held the child until paramedics arrived. Plaintiff’s mother was not on the farm at the time of accident, and 911 dispatcher called her to tell her what happened. The accident was very serious, as there was smoke coming from plaintiff’s skin, skin was turning grey and flaking off, and bone was exposed. Plaintiff also lost fingers, and there was a strong smell of burning flesh. After doctors diagnosed plaintiff with severe burns to her arms and hip, she was transported by medical workers to a hospital that specialized in treating pediatric burn patients. Plaintiff filed a suit against the power company, farm owners, the farm, and various other entities. Defendants entered into a settlement with respect to all claims except mother’s bystander liability claims for emotional distress. On this claim, they filed a motion for summary judgment. As our Boston personal injury attorneys know, bystander liability claims under a theory of negligent infliction of emotional distress are only granted in rare circumstances where a series of complex factors are present. Trial judge denied the motion for summary judgment and held that this case was perfect for an expansion to the restrictions on bystander claims. Defendant appealed this decision. On appeal the court concluded that the motion should have been granted, and the judge erred by denying the motion. It is important to keep in mind that the court is not saying that injuries to plaintiff were not horrible and that a jury should not be entitled to hear the case and award damages for pain and suffering, medical bills, future medical expenses, and special damages. However, plaintiff was asking that plaintiff’s mother be compensated for emotional distress caused by having to witness what happened to her daughter. While courts will recognize bystander emotional distress claims in certain circumstances, this is not the type of case that provided for such recovery. One of the main requirements, if such bystander recovery is to be awarded, is for bystander to witness the accident. In this case, mother was not present and only heard an account of what happened from an employee. She was not technically a bystander to the accident. Once the accident occurred, the court noted, defendants would have had to keep her from coming onto the farm and seeing the child to prevent this emotional distress, and that was not seen as a reasonable duty of care to impose.